Am I the only person who didn’t feel like a real “adult” until I bought a bed with a headboard? There is just something offputting about a solo bed that is pushed up against a wall. It feels too much like we’re still in college, where your bed is in the corner of the room with your nest of blankets after a long study session. I could be alone in this belief, but if you’re also Team Headboard, you know that they don’t exactly come cheap. Discount shop headboards can be as low as $150, which still isn’t low if you’re adjusting after your college budget. Custom-crafted headboards can run you a whopping $10,000. 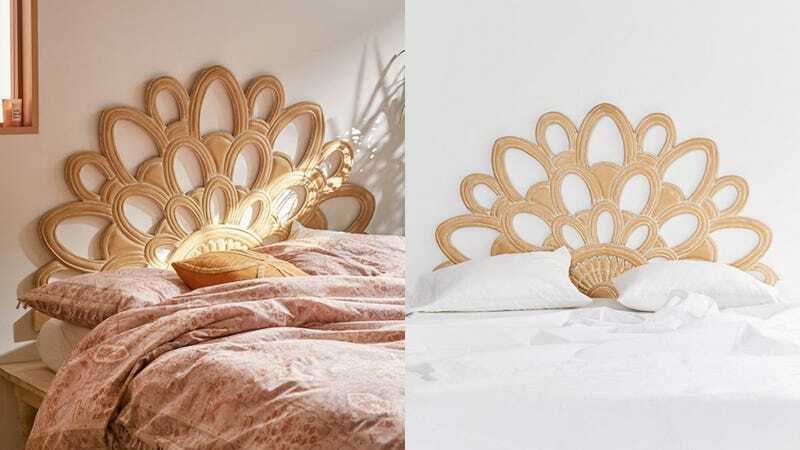 Thankfully, Urban Outfitters has a real steal on one of their headboards right now. The Magdalene Floral Headboard, which looks like an actual piece of wall art, is $249. That is $80 off the retail price. This is available in two different colors, white and brown, so it could easily fit in with a variety of bedroom color schemes.